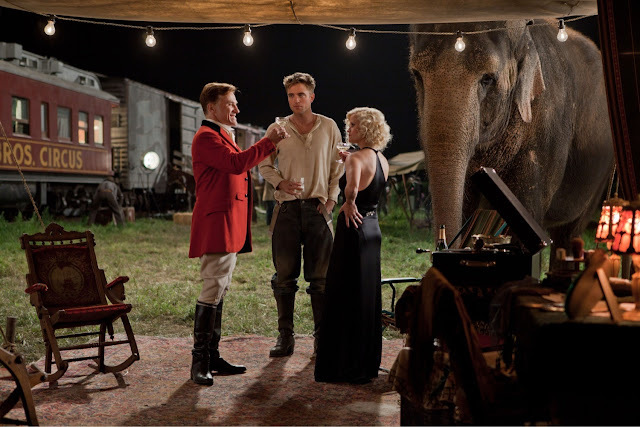 Who’s Thirsty For ‘Water For Elephants’? August: Every living creature needs to know who is in charge. They can sense when a man’s power is at full strength and when a man’s power is not. A few months ago, in another review, I confessed to never having seen a Twilight movie. I must now also confess that I have never seen a movie based on a Nicholas Sparks novel. 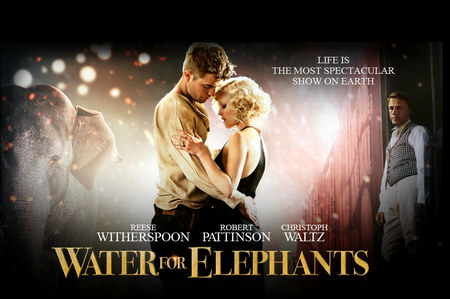 However, I have read the book by Sara Gruen, which Water for Elephants is based on. While the first two facts distance me from what I guess were concerns to other people – namely the abilities of Robert Pattinson in non-tween vampire roles and the constrictions of melodramatic romance films, the third fact kept an element of expectation hovering over me, as I anticipated this feature. Fortunately, I think this is a decent film. It has some problems that involve fleshing out its characters, but for the most part I enjoyed the film for its setting, use of practical effects, and a performance that seems to have been tailor-made for Christoph Waltz. Plus it is hard to not care for spunky pachyderm. Water for Elephants is a story told in flashback by an elderly man (Hal Holbrook) who has wandered onto a circus lot. The knowledge he has of a particular circus incident sparks the interest of the circus manager, Charlie (Paul Schneider), who requests the old man tell his story. Jumping back in time to depression-era America, the old man was once the spitting image of Robert Pattinson, who stars as the younger version of Holbrook, named Jacob Jankowski. Jacob was on his way to graduating from Cornell, until all of the sudden he finds that his parents have been killed in a car crash. To make matters worse, Jacob is informed by the bank that there is no money to his family’s name and he literally has no house to go home to anymore. Due to this being the worst week of Jacob’s life, he takes to walking along the train tracks, hoping to find a new life for himself. These prayers are quickly answered in the form of a circus train. Jacob hops aboard and soon finds out that he has just stowed away with the Benzini Brothers Most Spectacular Show on Earth. Reluctantly brought in to help with the grunt work, as this show is not exactly the most popular, Jacob soon rises to higher honors after making nice with the show’s owner, conductor, and animal trainer. This is August, played by Christoph Waltz, who learns that Jacob was a veterinary student, which leads to his promotion to caretaker of the animals in the circus menagerie. August is a charismatic fellow, but there is a mean streak that boils under his skin, which becomes especially apparent when others look upon his wife and star attraction, Marlena (Reese Witherspoon), whom Jacob instantly falls for. There is a slight delay in this romance, however, because August soon purchases an elephant named Rosie, which will have to be trained if the Benzini Brothers want to continue to make ends meat. Leading up to this film, every time I saw its trailer, I specifically felt that its tone fell in line with another film that I really enjoy. That film is Tim Burton’s Big Fish. While these films share no real connection beyond the fact that a subplot in Big Fish revolves around a circus, there was a certain (for lack of a better word) magical quality that I felt to be apparent between that film and for what ‘Elephants’ was going for. Having now seen the film, I can safely say that I got most of what I wanted from that aspect, although I do not feel that the heart was as well defined. 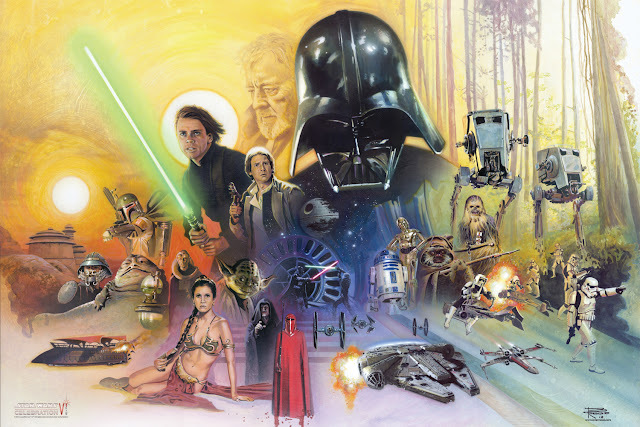 The film essentially managed to go through the motions of what it needed to do in having a romantic story told in a very specific time and setting, but the little details that informed the characters were not enough to make them anything more special than they were. 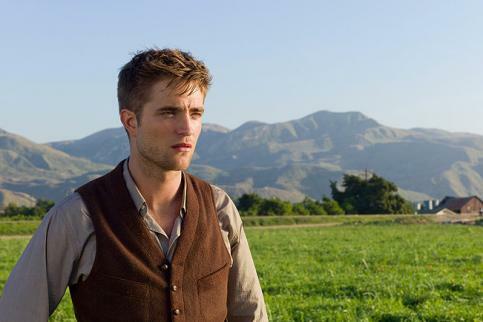 Given that lots of attention will go towards Pattinson in the lead role, it is best to address him first. I think he does a fine job here. Given my lack of Edward-related knowledge, I only know of him from a brief role in one of the Harry Potter films. The work he does in this film is solidly underplayed. 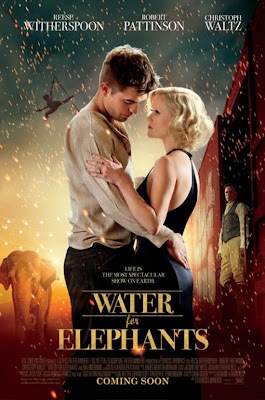 I will address his chemistry with Witherspoon more when I get to her, but Pattinson plays his role effectively enough to make due for the film and well enough to let the audience take in the world of the circus through his eyes. As far as Reese Witherspoon goes, she is decent enough as well. Her character is not nearly as complicated as other roles she has successfully tackled in the past (think Tracy Flick in Election and June Carter in Walk the Line), but as a blonde bombshell who is both caring and acrobatic, she is an actress I do not mind having around on screen. The most important aspect about her character is the chemistry she shares with the other leads. While her relationship with August is so painfully obvious to not be a healthy one, the alternative, hip, and younger suitor does not quite generate a spark that suggests obvious love. 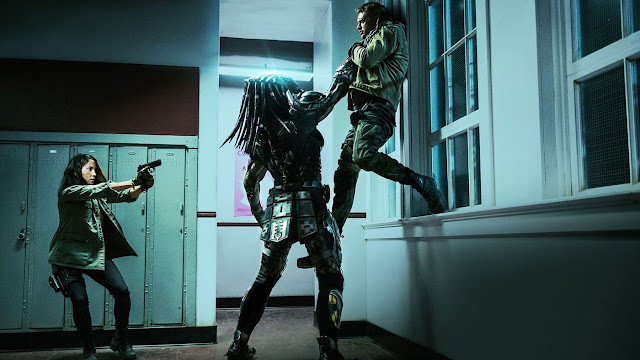 I think the pair work well together based more on their performances than the scripting of the film, but it is still an issue that the film stumbles over. Of these three leads, the MVP award obviously belongs to Christoph Waltz, who has pretty much pulled a trick on audiences by having people think he’s been around for years, despite only having this film and The Green Hornett become his first major turns after winning an Oscar for Inglourious Basterds. The man is just that comfortable to watch on screen. Waltz’s work as August (who is now a combination of August from the book as well as Uncle Al) is the right mix of charm, attitude, and menacing presence that creates exactly what you need in a villain. August certainly runs the show and you do not doubt the way Waltz plays him for a minute. I would talk about the other characters, but that is another fault of the film. We learn nothing about other circus workers/performers on the train beyond first impressions. There are some small touches to at least create a sense of bonding between Jacob and two key players in all of this, but it does little to characterize anyone besides the leads. With that said, I would be fine with this were Jacob and Marlena able to become as interesting as August, but alas, the film really does not provide more details to make these characters very compelling, beyond some key monologues they have to explain who they are or what they once aspired to be. Despite these issues, there is a visual sense to the film, which is very much to its benefit. The film was directed by Francis Lawrence, who previously directed I Am Legend and Constantine. As this film is a huge departure for him, I was interested to see what his experience in big budget, sci-fi affairs could lend him for a much smaller scale film. I think the best thing about what Lawrence has done was work with practical effects for the most part. Given that a huge issue with I Am Legend revolved around the bad monster effects, it is great to behold the wonder of an actual circus being constructed on a grassy lawn, mixed with real, live animals, and trapeze artist acts, etc. The more subtle use of special effects to convey the time period are very welcome to a film like this, as is the non-showy way in which Lawrence employs some elaborate tracking shots in areas such as train corridors. 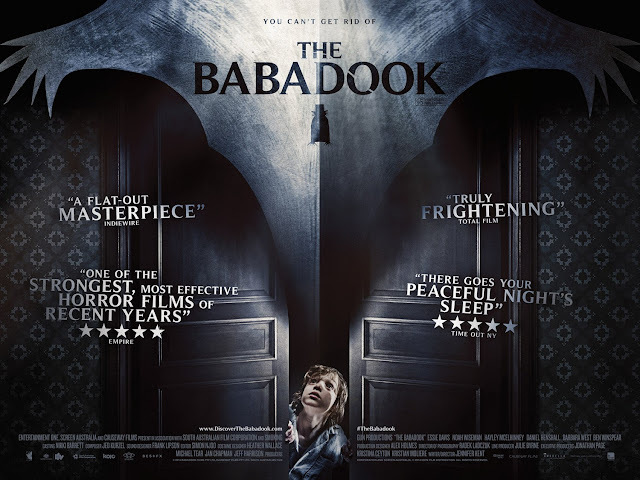 Along with the cinematography by Rodrigo Prieto and solid score by James Newton Howard, I think there is a lot of fine filmmaking present here. For the most part, I have so far avoided writing about this film in comparison to the novel as well as avoiding talk of the elephant. As I am running long, I will simply say that the elephant in the book matches up to my expectations of the elephant in the film. 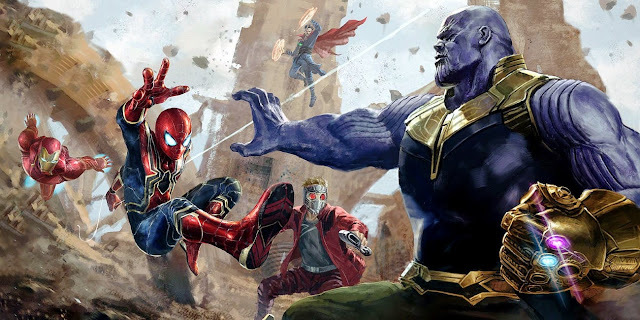 As far as the film in comparison to the novel goes, I think there is a level of give and take that will both work for the fans and play against them. Capturing details can always be a tricky thing, and while this film does not try to go out of its way to pay fan service at every step, it also misses a number of aspects (mainly involving the characters, as I have pointed out), which could have better served the story. 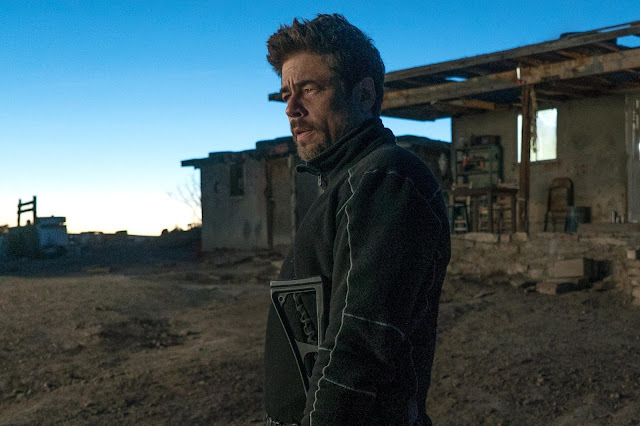 While altering the structure for the sake of the film made enough sense to me, altering other aspects changed the impact of some scenes that I think could have better benefited the film. I speak of the film as a standalone product, but one cannot avoid talking about its initial inspiration and reflecting on these changes. It should be clearly stated, once again, that I think this is a fine film that will probably play well to general audiences. It has a lot going for it from a filmmaking standpoint and certainly excels at giving us a very watchable character in the form of Christoph Waltz. While I do think it has its shortcomings when it comes to characterization, I do believe there is a certain amount of splendor from seeing a film that is based around a circus. 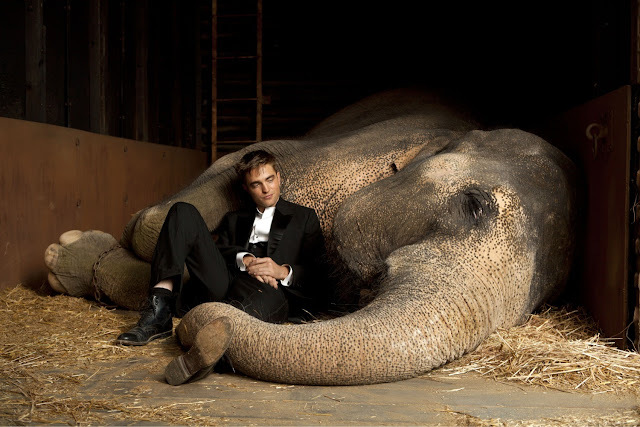 Finally, to once again address the elephant in the room, Pattinson makes for a serviceable lead. While straying from his major franchise to do a film like this, he certainly puts in the effort. He is just unfortunately outmatched by another incredibly charismatic actor, the look of the “Greatest Show on Earth”, and the world’s largest land mammal. Marlena: I’m a star attraction. Out there, I’m nothing.